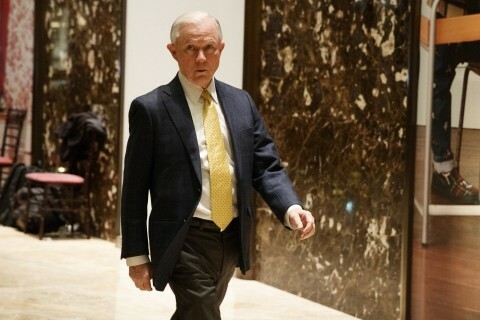 Sessions, when asked to show what he got, gladly demonstrated his “legendary” skills in a pick-up game at the newly re-segregated gym in the Robert F Kennedy Department of Justice Building. Throughout the exhibition, Sessions and his all white team played a methodical—almost plodding—game of basketball, where Sessions easily made a single 3-pointer during the whole game with his patented underhand field goal. “You’d think that my competition would be fierce, but I crush the competition when the buzzer starts and all of my opponents are white heterosexual males…who I proceed to destroy!” stated Sessions as he then threw the basketball over his shoulders and missed the hoop. While some have questioned Sessions’ skills given the artificially limited nature of the competition, Sessions has repudiated such claims. “It takes a lot of skill to be this good, and just because I only play with people who look like me shouldn’t diminish that fact.” Lately, Sessions has taken advantage of his new office by beating his justice department at their weekly basketball games, stating that “court is now in Sessions” while entering the game, and taking every time out to drink from the “Whites Only” fountain outside.